It has been suggested that economics is a branch of psychology. So it stands to reason that an individual’s attitude to financial wellbeing is rooted firmly in their mentality. In 2002, I graduated with a degree in psychology. Although useful at times – particularly when watching CSI – never has it become more vital to my work than when looking at employee financial wellbeing. The psychologist Dr Peter Collett says there is a lot of evidence that links people’s financial behaviours to their individual psychology. The research tells us that as an employee’s financial wellbeing declines, so does their ability to do their job, which in turn costs employers money through lower productivity, absence, and lower engagement. Most people find it difficult to save money. Millennials (almost half the workforce) are struggling financially, more than any other generation in the workforce.Young people are fighting to cover urgent expenses associated with rising rents and student loans, meaning future priorities like saving for retirement are falling by the wayside. According to Gallup, people tend to enjoy saving more than spending – so why are we still so bad at it? Author Sendhil Mullainathan and Eldar Shafir say it’s because of scarcity. Does anybody remember the 1995 Buzz Lightyear deficit? It was chaos. There was fighting in the streets, riots in Hamleys, people died. Well, that may be an exaggeration, but it was fairly intense. So intense, in fact, that one parent thought it necessary to fly to New York for the sole purpose of acquiring the 12in spaceman before Christmas. Scarcity is an area of social psychology that says people place a higher value on something that is scarce – like a 1995 Buzz Lightyear – and a lower value on something that isn’t – like trees. #political. Studies have shown that when people assess their financial wellbeing (and this assessment highlights a below-average financial position), they pursue strategies to lessen the sense of being ‘below average’. For most, this results in spending more money on goods and services unavailable to peers in the same position. Scarcity prevents employees from seeing the bigger picture of what’s important and instead focuses them on their present and pressing needs. In essence, the burden of having less money forces people to make worse financial decisions. Making better financial decisions doesn’t require big gestures. Having said this, nobody’s going to say ‘no’ to a lottery win. However, back in reality, helping your employees to make small steps towards securing their financial future is one of the best ways to improve their financial wellbeing. Having tangible goals is a good way of doing this; people get what is called ‘anticipatory happiness’ from having savings goals. Perhaps someone is saving for a holiday, so they think frequently about the ‘reward’ that’s about to come their way. Employers should consider financial wellbeing initiatives that encourage saving, particularly those that help them secure their future (such as pensions). One of the most popular ways of encouraging this behaviour is ‘Nudge Theory’. Nudge Theory is a modern concept which focusses on creating choices for people in a way that will then encourage a particular decision. By presenting choices in a certain way, people make wiser decisions and although the decision is still theirs, they get nudged one way or the other. So, this is where having data on your employees will really pay off; if you know that they’re getting married, having a baby, getting ready to retire etc., you can prompt them at exactly the right time to make a financial decision which would ultimately benefit you both. Your FitBit operates using a similar principle; after a period of inactivity, it will ‘remind’ you to exercise, so you now have a decision to make. Nudge Theory can improve an employee’s financial wellbeing by giving them personalised information at the right time in their life. To maximise their happiness, an employee needs to get out of debt. As we saw with the scarcity principle, being in debt tends to just lead to over-spending to overcompensate for being in debt. 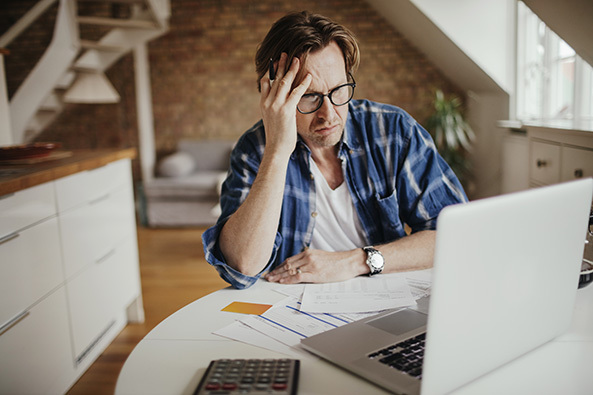 Financial stress is overwhelming and in fact, according to The Independent newspaper, debt is the number one thing that keeps us all awake at night. There are new financial wellbeing initiatives aimed at reducing or clearing an employee’s credit card debt through payroll lending. This can help them ‘press the reset button’ and focus on future potential rather than historic debt. Financial wellbeing means different things to different employees. For some it’s about securing their future, for others it’s about solving an immediate need. At Benefex, we believe that no single solution will meet the needs of a diverse workforce and that a combination of financial wellbeing initiatives is the best way to offer staff the personalised and timely help they need towards a more comfortable financial future. That’s why we have created a financial wellbeing ecosystem.